The appellate tribunal has listed that RCom be heard tomorrow for its plea against the NCLT order which has passed for the insolvency of the telco. If gone through, this would mean that all the assets of Reliance Communications would freeze, barring it from selling its wireless assets to recover some amount. Kapil Sibal, the counsel of Reliance Communications presented some numbers in front of the bench as he spoke that the total debt of Rs 46,000 was over RCom’s head, he also did not forget to add that Reliance Jio, which was offering to buy RCom’s assets was agreed on paying Rs 17,000 crore upfront. The deal would also include spectrum dues and transfer of debts. Ericsson had signed a 7-year deal long back in 2014 to operate and manage RCom’s nationwide telecom network. Later the Swedish company alleged that it had not been paid the dues and that the Anil Ambani led telco has defaulted on the payment. It was in September last year that the Swedish company filed a petition in the NCLT’s Mumbai bench seeking liquidation of the telecom operator to recover Rs 1,150 crore that according to their allegations, RCom allegedly owes it. 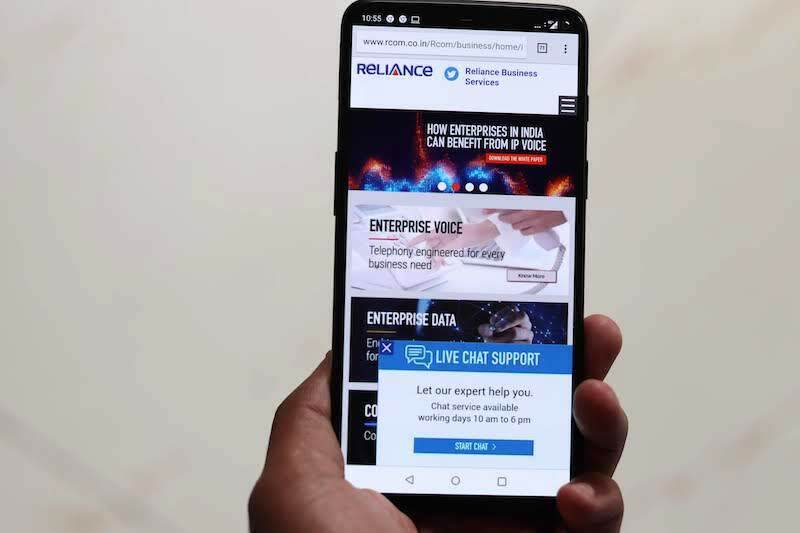 It was on May 15 that the Mumbai bench of the National Company Law Tribunal (NCLT) finally admitted an insolvency petition by Ericsson against Reliance Communications and two of its subsidiaries in lieu of recovering pending dues. Like to see Jio band 5 speed on 10 MHZ in coming days in Gujarat. I am getting upto 50 Mbps down and 20 Mbps up on band 5. It remains usable throughout the day even when band 40 and 3 are overloaded. Depends on user density in an area though. Don’t expect a miraculous performance. Rcom to sell another 66 mhz spectrum to jio @ 3700 crores. Jio will get around 190 mhz total spectrum which will be a boost for jio. The deal to be announced shortly. You can root & do it. Which will be on band? Will Jio deploy band 1 LTE soon?Will they buy more in auction same band? Kunal, which frequency band in 66 mhz? It appears all the remaining liberalised spectrum Rcom has.